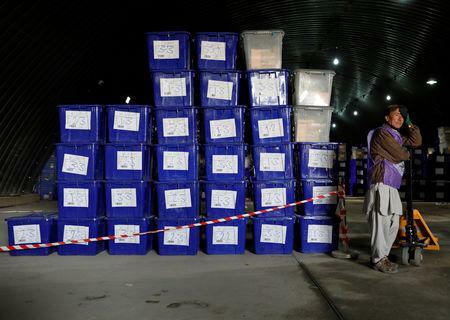 KABUL (Reuters) - The Taliban issued a fresh call for Afghans to boycott this week's parliamentary elections on Thursday, denouncing the vote as a foreign-imposed process that went against both Islam and Afghan culture. The statement was the third such call and followed a similar message on Wednesday telling teachers not to participate as election workers in polling stations, many of which are located in schools. It said the elections "have no Islamic or Afghan essence but are a foreign plot to prolong occupation" and said it was the duty of every Afghan and Muslim to oppose them. "Consequently, preachers and prayer leaders must inform their constituency, while tribal leaders and influential figures must prevent participation by the public," the statement said. The elections for the lower house of parliament are due to take place on Saturday but preparations have been dogged by chaotic organization and allegations of widespread fraud as well as worries that polling stations will be attacked. Thousands of police and soldiers have been deployed across the country to ensure security but already nine candidates have been assassinated and hundreds of people have been killed and wounded in election-related attacks. Although the Taliban say they will not deliberately target civilians, security officials say attacks are likely on Saturday morning to deter voters from going to polling stations. The Taliban's strong opposition to the vote comes against a backdrop of contacts with U.S. officials over possible talks to end the 17-year war in Afghanistan, with both sides attempting to secure the upper hand before any formal negotiations begin. 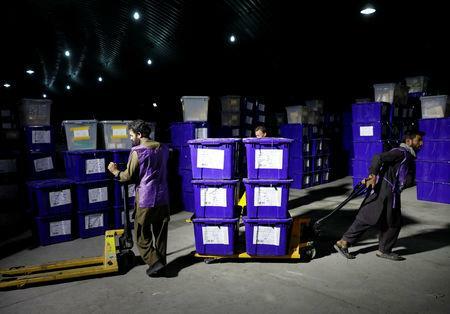 The elections, which have been repeatedly delayed, are seen as a key credibility test for Afghanistan's democratic institutions but with two days left until the vote, officials were still rushing to complete preparations. Untested biometric voter registration equipment introduced at the last minute at the demand of political parties was still being sent out and set up in remote provincial voting centers and it was unclear whether it would be ready in time. Some 8.8 million names have been registered but millions of these are believed to be fraudulently recorded and the real number of likely voters is unknown. The lower house of parliament, with 249 seats and an extra seat reserved for the small Sikh community, has little power but the elections are seen as a vital step before more important presidential elections in April next year. 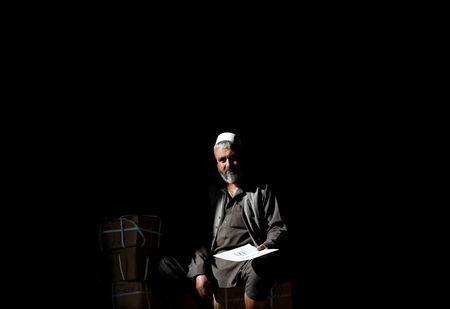 District council elections, which were due to be held alongside the parliamentary elections, have been abandoned and in Ghazni province voting will be delayed because of arguments over the representation of different ethnic groups.